Artifact weapon is one of the last innovations in world of warcraft expansion Legion. Artifact is weapon or set of items for right and left hand for every class and specialization. There are 37 new weapons + artifact Fishing Pole for fishermans - Underlight Angler. 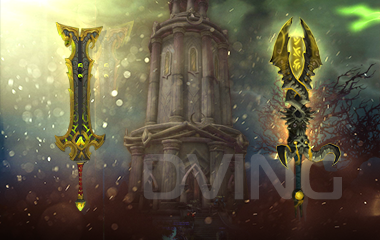 WoW Artifacts are legendary weapons which were used by wow heroes of past and present. Every artifact has its own history, closely related to wow world. For example, "Ashbringer" was owned by Mograine, leader of the Silver Hand, and was used to fight againt Kel'thuzad, and "Doomhammer" is a well-known relic of orc warchief Thrall. 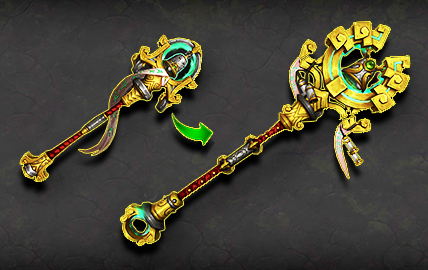 Artifact weapon is the most powerful weapon in game, it can be upgraded and has 34 levels. Stats and skills depend on level. There are 3 slots for relics, 2 of them are available from the beginning, and last can be used only after finishing Order Hall Campaign. This relics are used for increasing power of artifact, add extra abilities and increase damage. Artifacts has another parameters, such as artifact power, artifact knowledge and others. As a result, player will have 34+ artifact level, 3 relics and one skin. Every artifact has 6 skins: Original appearance (order hall campaign), Upgraded appearance (order hall, artifact, archaeology findings;), Valorous appearence (pve progress), War-tont appearance (pvp progress), Hidden appearance, Secret appearance. Dving.net team is ready to help you with obtaining any of them. Dving.net team helps with obtaining artifacts, its leveling, gaining needed level, artifact power, opening 3 relic slots (Order Hall Campaign) and any other wishes. Artifact leveling is a very long and tiring process, it requires much time and perseverance. You can feel full power only with high level. You need to spend a few months to finish your artifact leveling. Contact our operator in the bottom right corner for any details, or call 8 800 333-23-75 / 8 495 374-83-95.